No urge to thru-hike? 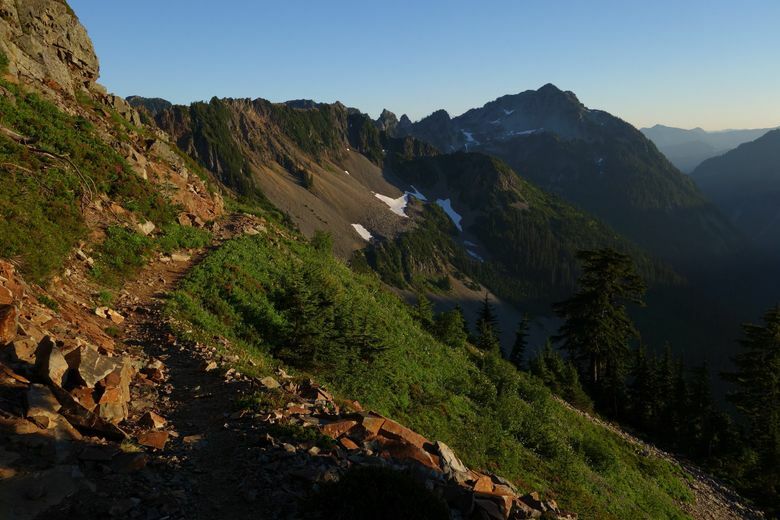 Tami Asars' guide to the Pacific Crest Trail in Washington plots strategies for exploring the PCT 30 to 120 miles at a time. It was at the Bridge of the Gods, on Washington’s doorstep in Cascade Locks, Oregon, where after 94 days, “Wild” author Cheryl Strayed ended her 1,100-mile transformative hike on the Pacific Crest Trail (PCT) in 1995. By coincidence, it is the same place where North Bend-based guidebook writer Tami Asars this weekend planned to conclude her own multistage, multiyear hike of the entire, 2,650-mile PCT. As someone who knows the rigors of long-distance hiking (she once endured nine days of nonstop rain while doing trail research), Asars admires the physical and emotional grit that Strayed, then a distance-hiking novice, displayed during her now-famous walk. When Strayed’s journey ended, Mount Adams, Mount Rainier and Glacier Peak still lay ahead. “She missed the best part of the trail,” Asars said with a laugh. Asars would know. 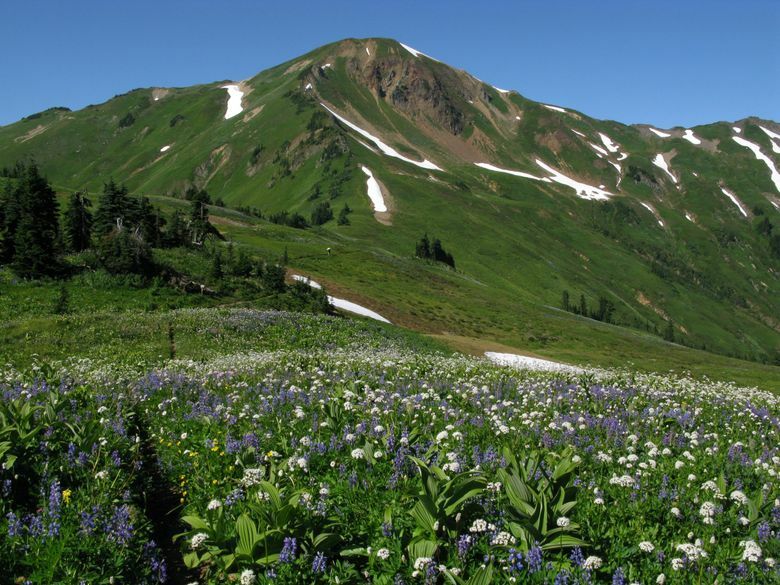 One of the four hiking guides she has written is “Hiking the Pacific Crest Trail: Washington,” released in 2016 as the introductory volume of an ambitious four-book series from The Mountaineers Books. The project involves four authors and details the entire PCT with an emphasis on section-hiking portions of the trail, not just thru-hiking. 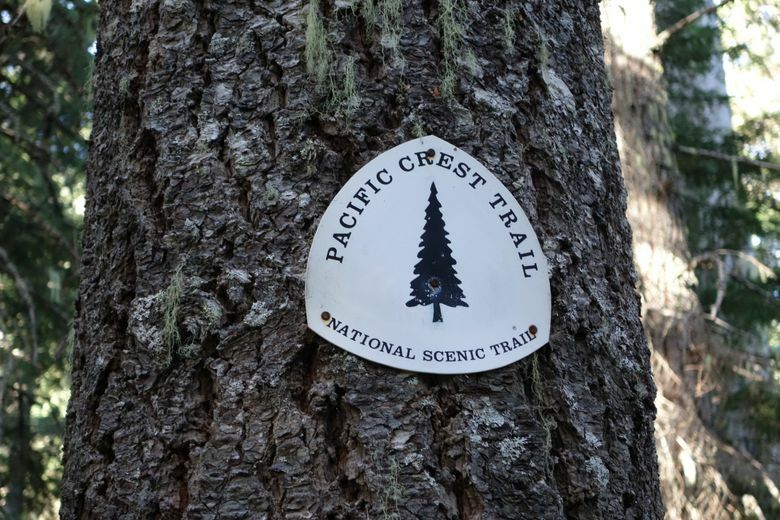 When the Northern California installment was released this February — as the Pacific Crest Trail marks its 50th year as a National Scenic Trail — it was the final piece in the first multibook, turn-by-turn guide devoted to the PCT since Wilderness Press introduced its landmark three-volume series in 1973 and ’74. Those books, heavy with geological detail, have for decades been viewed as the trail’s sacred thru-hiking text. Strayed carried them, along with numerous paperbacks, in her famously overstuffed backpack nicknamed Monster. Yet principal author Jeffrey Schaffer is now 75, and the books were last updated in 2003-04. New editions, with new authors, are slated for release this winter. 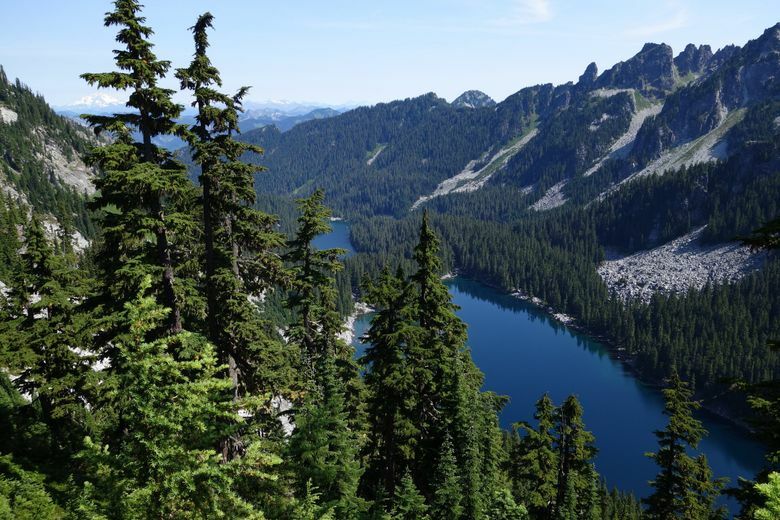 Asars unintentionally kick-started The Mountaineers Books’ PCT series when she approached TMB Editor-in-Chief Kate Rogers with the idea for a compact guide to the PCT’s popular 72-mile stretch between Snoqualmie and Stevens Pass, where she regularly went on training hikes. She routinely fielded questions from other hikers about water availability, the whereabouts of privies and other backcountry beta. Maybe, she figured, she should put this info in print. “She came back and asked, ‘How about the whole state?’ ” Asars recalled. “Then, ‘How about an entire series?’ I thought, ‘Oh. Well, OK.’ ” Asars developed outlines for all four books, wrote the introductions and recruited a friend, former Washington Trails magazine editor Eli Boschetto, to write the Oregon guide. “The four of us work as a really tight team, sort of like the four Musketeers,” said Asars, 45, who has been walking sections of the PCT in Oregon this summer to assist Boschetto with updates for his book, and spent more than three months this year traveling PCT sections that had remained on her to-hike list. She realizes such schedule flexibility is rare. 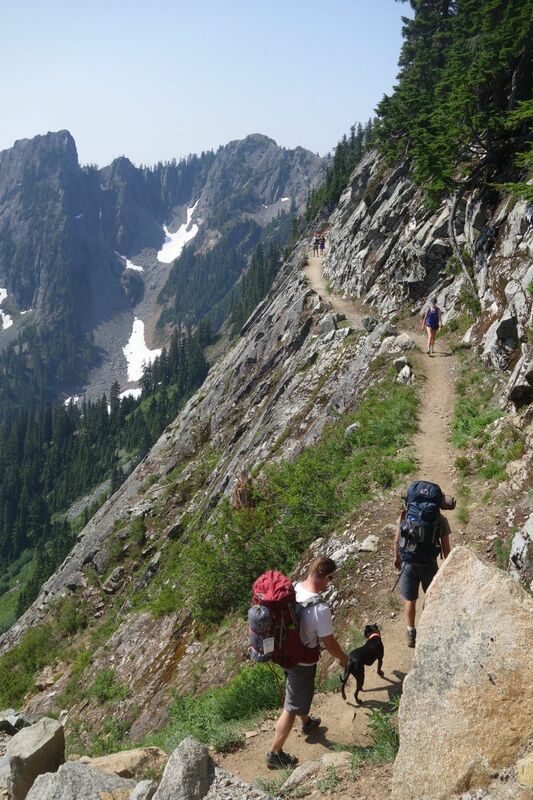 Her guide to the PCT in Washington plots strategies for exploring the PCT 30 to 120 miles at time. Where would she send a first-time section hiker? Though no hard data exists, the Snoqualmie-Stevens section is recognized as the busiest along the entire three-state route. 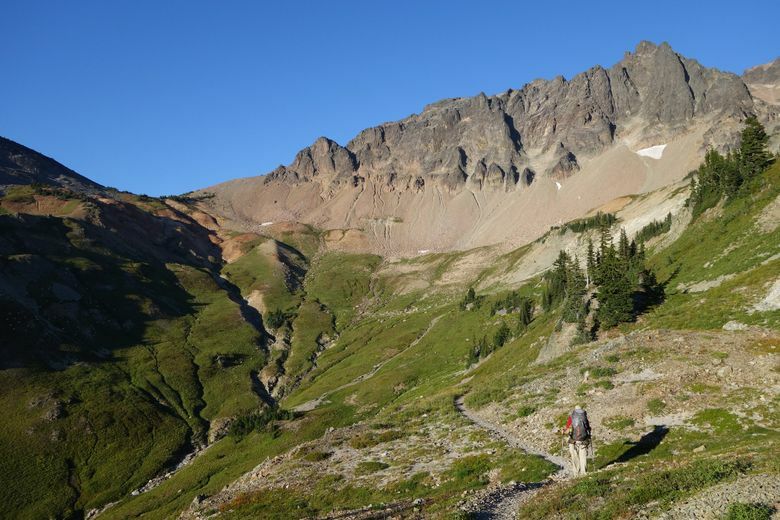 Just as thru-hikers begin streaming into the Northwest in July and August, good weather brings in urban day hikers and backpackers drawn to the PCT’s mystique. 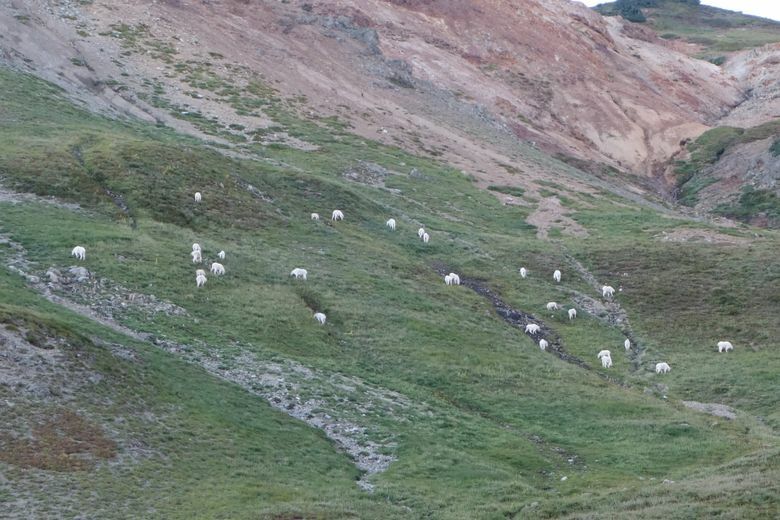 Despite the relative bustle, Asars says the segment delivers above-average rewards for section hikers. “That is a gorgeous section of trail, and a really popular one for good reasons,” she said. 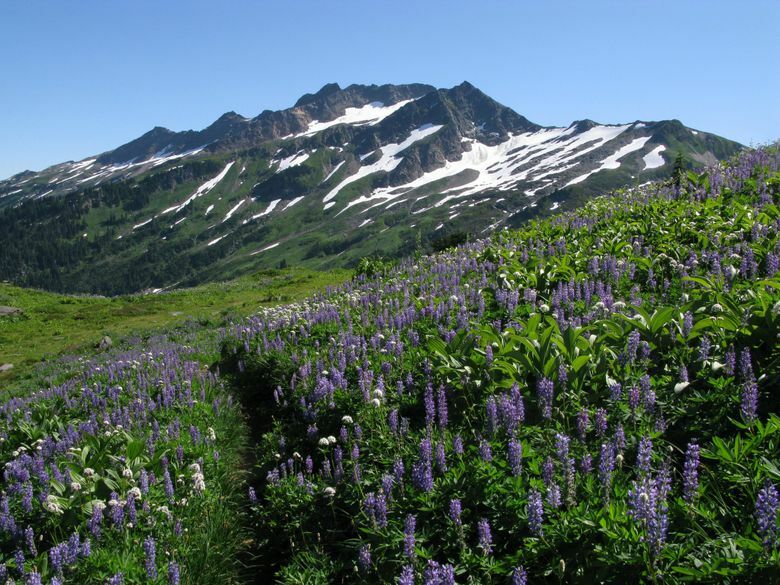 “You have several big mountains — Chikamin Peak, Bears Breast Mountain, Cathedral Rock — that come at you one after another. So what did Strayed miss by not stepping into Washington? “To me, the only place on the PCT that gives Washington a run for its money is the High Sierra (in California),” Asars said. “There’s something to be seen everywhere you go, but in Washington, with maybe the exception of the first 60 miles north of Oregon, there is always some sort of feature that is eye-popping. “Down south you’ve got Mount Adams. You’re right at the base of a volcano. 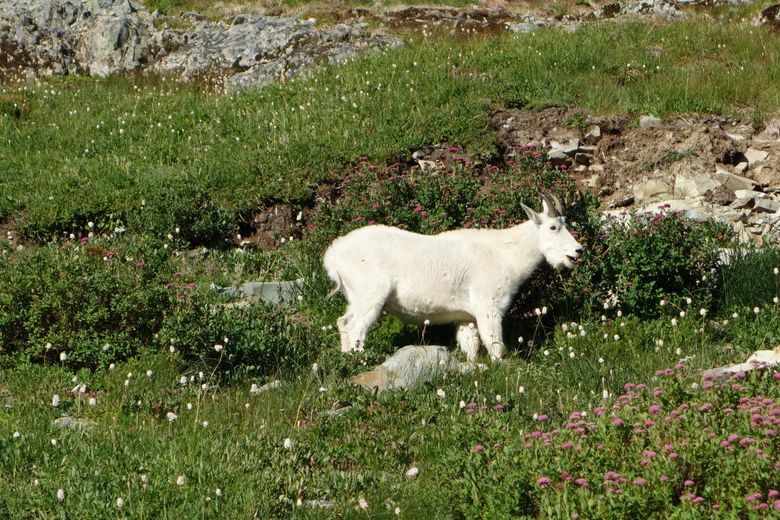 Further up you’ve got Goat Rocks, then Mount Rainier, then the Norse Peak Wilderness. 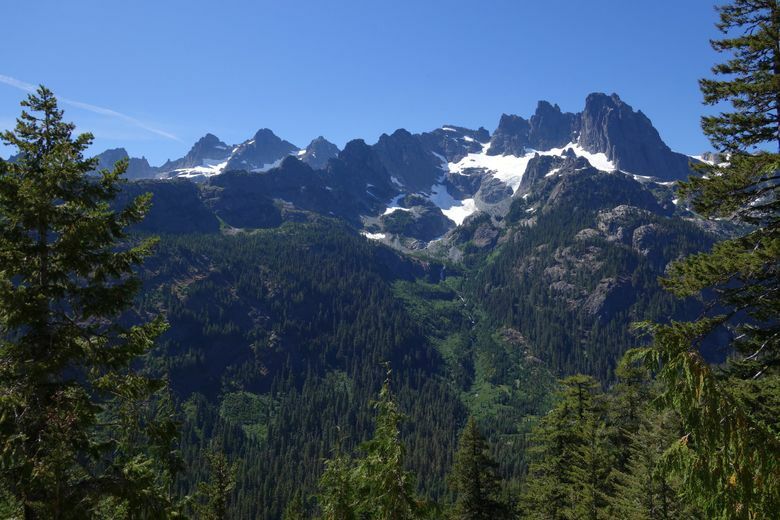 Then Snoqualmie to Stevens, which is breathtaking, then Glacier Peak between Stevens and Rainy Pass. 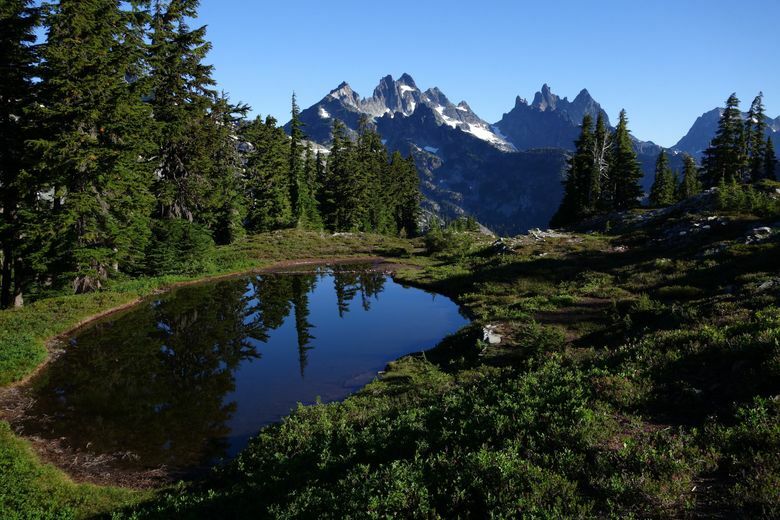 “And I was really pleasantly surprised by how beautiful the North Cascades are in autumn. North of Rainy, the larch trees are just brilliant yellow in the fall. It was like hiking among little yellow globes everywhere. I didn’t realize on the PCT how magical that time of year is. 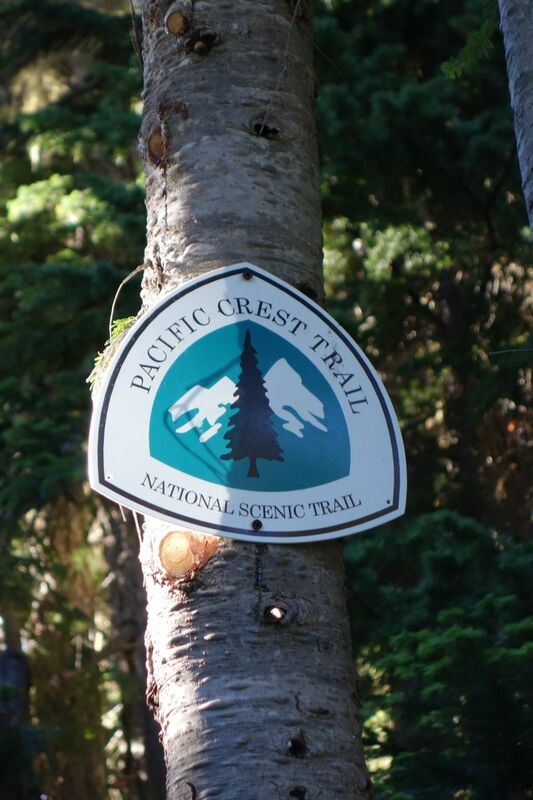 From start to finish, the PCT passes through 48 wilderness areas, containing about half of the trail. It also passes through six national parks, five national monuments, five California state parks and 25 national forests. “Hiking the Pacific Crest Trail: Washington” by Tami Asars, The Mountaineers Books, 304 pages, $24.95; digital: $9.99-$11.99. Asars says she downloads electronic versions of the PCT books to her mobile device as an on-trail information resource.